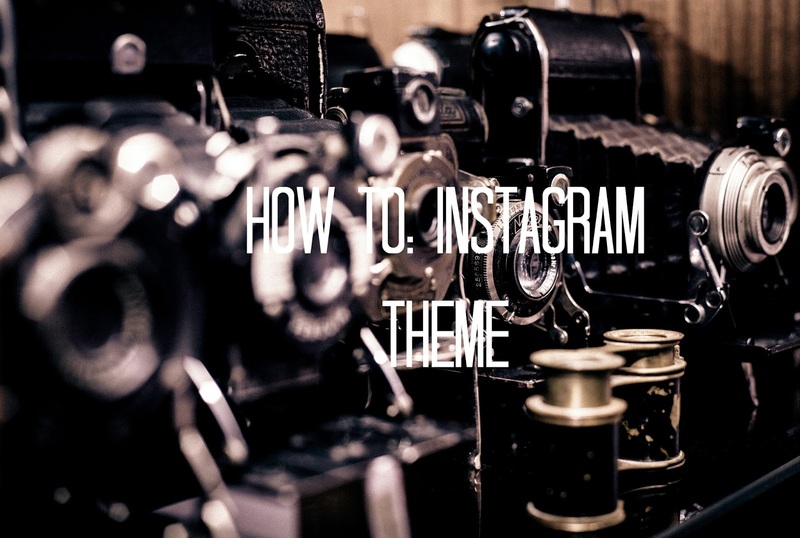 Instagram themes seem to be all the rage. When you read guides on how to be a better blogger, or to build your social media and Instagram following a reoccurring message seems to be that having a theme to your profile is the only way! However, as Forever Amber recently pointed out, running your instagram to fit within a theme is actually really quite boring! I didn't like to constrain myself to having to follow certain rules when I post and I have finally managed to develop my version of a theme. Even better than the cohesive look I have given to my profile is that it is surprisingly easy! The trick is to find a version of a relaxed theme that is easy for you to manage. For me I had been wanting to post more black and white content for a long time, but I was worried that the occasional B&W photo would look more disruptive than anything else. So I decided that my theme would be alternating B&W photos with colour ones. This gives a cohesive look to my profile without restricting what I want to post. So for you to find your instagram theme that works for you, you need to look at what you actually like posting! And you need something that will tie your pictures together collectively, but here is the kicker- you don't need to post it in every photo. If you want to have a floral theme, just make sure you are posting a floral picture with similar tones every 2-4 photos and it will come through on your feed. You can either pick a tangible "thing" theme such as floral, sport, b&W etc, or it could just be as easy as keeping the tone curve similar in your editing, or bringing through a particular colour consistently. Let me know how you get on down below, what theme have you went for? And if you want you can check out my feed @liquidgrain here!